British GT Championship GT4 class champion Stuart Middleton will race alongside Felipe Nasr, Mike Conway and 2016 IMSA champion Eric Curran in the Action Express/ Whelen Cadillac DPi at the 2018 Rolex 24 Hours at Dayona after sealing the Sunoco Whelen Challenge over the weekend. HHC Motorsport driver Middleton takes the prize drive after his last remining rival, Stuart Moseley, could not do enough in the last weekend of his 2017 season in the Radical European Masters to close the points gap to the Ginetta G55 GT4 man. 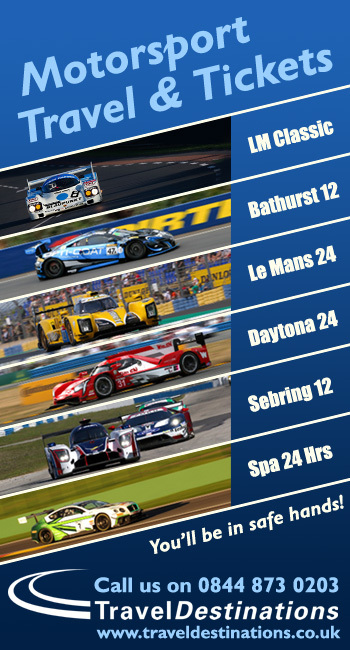 The 17-year-old Northumbrian is now guaranteed a fully funded prize drive at the world-famous Rolex 24 At Daytona. 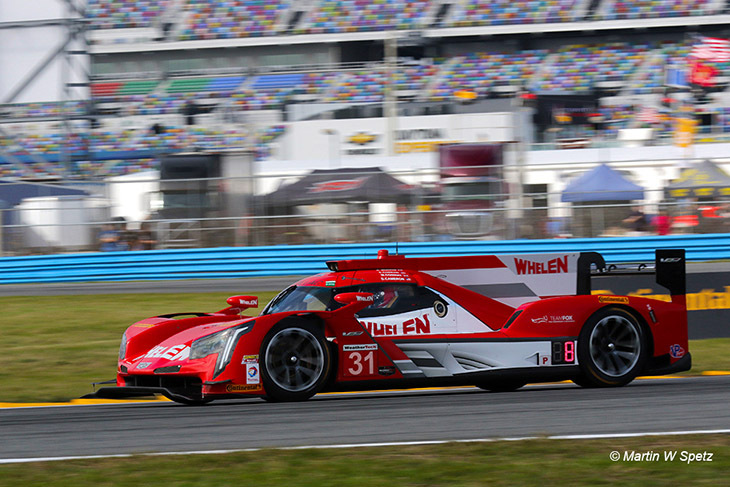 The package, worth an estimated $250,000, includes testing at the South Florida venue later this year before taking part in the official ‘Roar Before the Rolex 24’ in early January. That’s followed by the race itself on January 27/28. 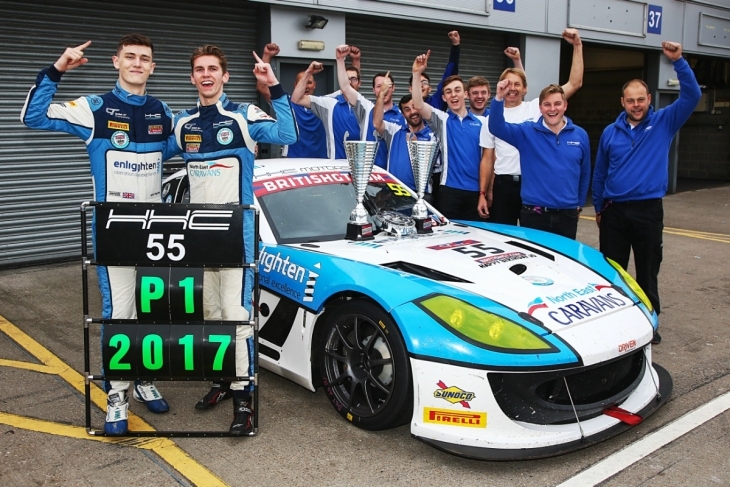 Middleton’s win came courtesy of a sparkling maiden British GT4 campaign alongside HHC Motorsport co-driver Will Tregurtha, who finished second in the final Sunoco Whelen Challenge standings by just 2.2 points. 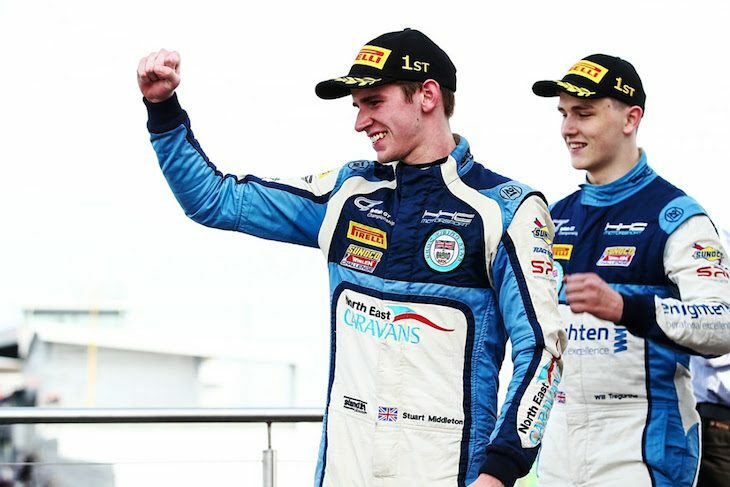 he makes it a run of three British GT racers to take the Daytona prize drive following Seb Morris and Jonny Adam in 2016 and 2015, respectively. He’ll be joined on the flight to Daytona in 2018 by reigning British GT3 champion Rick Parfitt Jnr after the amateur driver claimed this year’s Sunoco 240 Challenge title which will see Parfitt contesting the 240-minute CTSC support race aboard a GT4 car. Stuart Middleton: “I’m ecstatic, speechless to be honest. This is such a huge prize and an incredible opportunity for me so early in my career, I can’t thank Anders Hildebrand and everyone at Anglo-American Oil enough. Being part of the Action Express team with Felipe, Mike and Eric is just amazing… it hasn’t quite sunk in yet. “My first season in GT4 with my fantastic team-mate Will Tregurtha was just amazing, we couldn’t believe how competitive we were right from the first round and that was without hardly any testing before the season started. The year just got better and better for us and as well as the GT4 title, the Sunoco prize started to become a possibility too. “To win the championship in our rookie year was more than we could have hoped for, and for me to now win the Sunoco Whelen Challenge is the icing on the cake. I really want to grab this chance with both hands and do the very best I can, although it’s not going to be easy.